The protests over race and diversity that shook campuses across the U.S. in 2015 continue to reverberate. In January the president of Ithaca College resigned. In February Princeton University began public discussions of the controversial legacy of its former president and U.S. President Woodrow Wilson. And also in February, the University of Missouri fired the professor who called for reporters to be removed from covering a campus protest. As a German Studies scholar, I am observing the controversies on U.S. campuses attentively. I am reminded of the discussions that students initiated in Germany in the 1960s to overcome the past. Indeed, looking back at the protest movement in Germany reveals parallels that help to understand the present. Probably no other country has struggled as hard to come to terms with its past as Germany. The Nazis' unimaginable crimes cost the lives of millions of people, many of whom died in ghettos or in concentration, labor and death camps. Most of these victims were Jewish. Others included ethnic and religious minorities, political activists, members of resistance groups and gays. After the war, all visible signs of Nazi rule – such as swastikas and portraits of Hitler – were removed under orders from the Allied Powers of the U.S., United Kingdom, France and the Soviet Union. But that did not mean that racism had been uprooted in postwar German society. Students helped to democratize German society through instigating public debates on topics such as gender equality, wealth distribution, and the meaning of public leadership. And if necessary, former protesters took matters into their hands and founded their own media outlets such as the left-leaning newspaper cooperation “taz” in Berlin in 1978. It was students who sparked a public discussion on race and gender. It was they who initiated what ended up being a cathartic process of healing. In the process, however, there was resistance and violence on both sides. The students' targets were clear. They were protesting against universities' failure to remove professors that were known racists and had served in the Nazi administration; against the authoritarian and paternalistic structures at universities; and in favor of equality among the sexes. In doing so they were targeting the German government itself. After World War II, denazification and reeducation programs were designed to undo 12 years of Nazi propaganda. The Nazis had consolidated their power through centralization and massive organizations. The Nazi Party itself had more than 8 million members or almost 10 percent of the population. The German Labor Front, a state-mandated union whose leaders supported the regime counted as many as 25 million members. The sheer number of people who had been members of Nazi organizations made the goal of removing them from government and public offices impossible. Many were able to move into high positions in the West German government, and some of those even had the backing of the United States, who considered them efficient anti-communists. One of these was the director of the Federal Chancellery of West Germany, Hans Globke, a jurist who had co-authored the Nuremberg Laws that revoked Jews’ citizenship in 1935. Yes, the Nuremberg trials of 1945-46 convicted – in the spotlight of the international media – 22 main Nazi officials, military officers and business leaders. And, yes, there were a number of trials to follow in the 1950s. But it took until the 1960s and the Auschwitz trials for the larger public to be shaken out of its comforting illusion that an economic recovery could continue without addressing the traumatic experience of Nazi crimes and the involvement and passive support of significant segments of the population. Student protests in West Germany were kick-started by the decision of the center left Social Democratic Party to exclude its student union from party membership in 1961. The students saw themselves as legitimate political players. They began speaking up not just against the establishment’s decision to silence them but also the establishment’s past. In their fight against the “lies of the fathers,” students turned to new intellectual role models, such as Theodor W. Adorno and Herbert Marcuse , leading figures of the Frankfurt School of Critical Theory who had been in exile during the war. But if these “fathers of the revolution” sparked debate, it was often women who took action. 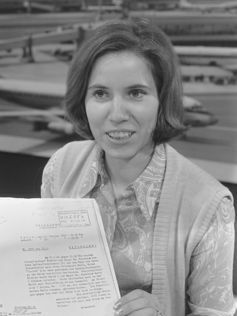 The political activist Beate Klarsfeld, for example, received major public attention when she slapped Kurt Georg Kiesinger, German chancellor from 1966-69. Kiesinger had been a Nazi Party member and deputy director of the State Department’s foreign radio network. It was unacceptable to students that a staunch opponent of free speech could be the highest dignitary of West Germany. Kiesinger, however, struck back. He introduced an infamous “Emergency Law” in 1968 that only intensified the protests against the government and its representatives. The law was implemented in May 1968 and authorized the government to make wide-ranging decisions without confirmation or consent by the German Parliament. It gave the government power to strip citizens of constitutional rights such as the right of free speech in case of an armed conflict or a natural disaster. Students attacked the law as undemocratic and took to the streets. Demonstrations became violent. The deadly shooting of Benno Ohnesorg in 1967 (whose attacker was revealed in 2012 as an undercover agent for the East German Stasi secret police) and of charismatic student leader Rudi Dutschke a year later, brought matters to a boiling point. In the wake of this violence the student movement split. Most continued peaceful protests. But some, notably the Red Army Faction (RAF), turned to terrorism. 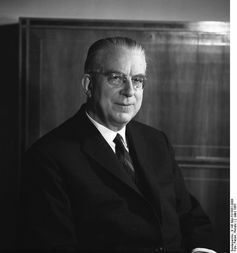 It was their kidnapping and 1977 murder of Hanns-Martin Schleyer, the president of the Confederation of German Employers Association that pushed the government into a state of emergency. And once again the wartime past reared its head. The RAF was undoubtedly a criminal organization without lasting impact on society as a whole. But the student protests changed the German mindset forever. More female high school graduates entered higher education. New non-discrimination laws made it easier for women to pursue careers in higher education. In addition, universities lowered access barriers for students from low income families. Students helped to democratize German society through instigating public debates on topics such as gender equality, wealth distribution, and the meaning of public leadership. And if necessary, former protesters took matters into their hands and founded their own media outlets such as the left-leaning newspaper cooperation “taz” in Berlin in 1978 – a publication that continues to be a thought leader today despite its relatively small circulation of 52,000 copies. Other former protesters cofounded the Green Party, now a major player in Germany’s political landscape with an average 10% of the votes countrywide and currently in coalition governments in no less than eight of the sixteen German states. The Green Party’s most prominent member to this day is a former student leader from Frankfurt, Joschka Fischer, who was the country’s Foreign Secretary from 1998-2005. The echo of student protests in the 1960s and ‘70’s can still be heard to this day. Yes, there are a growing number of nationalists that oppose Angela Merkel’s decision to open borders to 1.1 million refugees mainly from Syria, Afghanistan and Eritrea. But at the same time, students in Germany have vociferously expressed their support for refugees by volunteering in aid projects, teaching the German language, helping with translations, offering legal advice, and accompanying migrants to medical doctors. More and more universities are opening up their English course offerings for refugees and a new tuition-free university in Berlin is targeted specifically at migrants. Merkel’s politics, I believe, can be seen as a result of lessons learned by German history. The official response to political oppression and racism, in other words, must be civility and responsibility. History, much like in the U.S., should adapt to the values of the present, not the past.